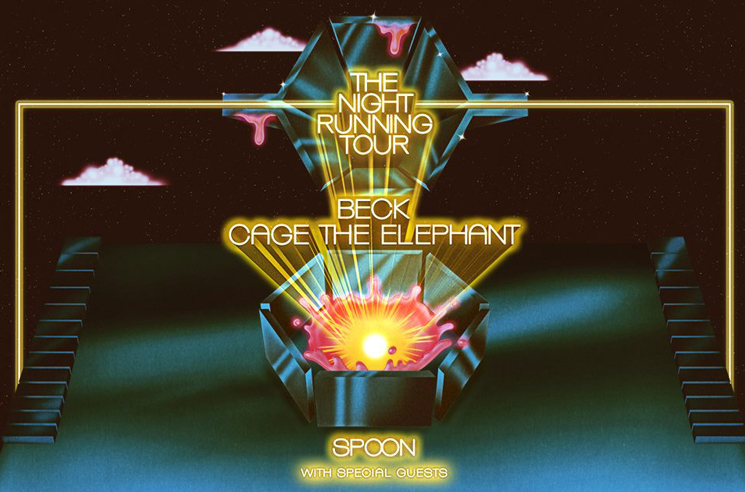 After picking up a pair of Grammy Awards for his Colors LP last night, Beck has announced a co-headlining summer tour alongside Spoon and Cage the Elephant. The three acts will kick off "The Night Running Tour" on July 11 in Ridgefield, WA, playing 30 dates in both July and August. Support throughout the run will come from Starcrawler, Wild Belle and Sunflower Bean. A lone Canadian stop will bring the three-band bill to Toronto's Budweiser Stage on August 11, with Sunflower Bean joining as support. Tickets for all dates go on sale Friday (February 15) at 10 a.m. local time. Beck recently teamed up with Robyn and the Lonely Island to contribute to a song to the new LEGO Movie soundtrack.